Amanda Kaestner is a writer for the Gannett Company and recently got in touch with me asking if she could write an article for my blog about Summer Programs. Whether you are a parent, a counselor, or a teacher the following has some great info to help students from hitting that summer slide. a long way in preventing the loss of skills so that when the new school year begins, students are still refreshed and maintain the same level of knowledge before they left. trees and catch lightning bugs. In reality, many children in families without summer plans can often find themselves bored or lacking mental stimulation. Many of them are left alone with nothing to do while their parents are away at work. 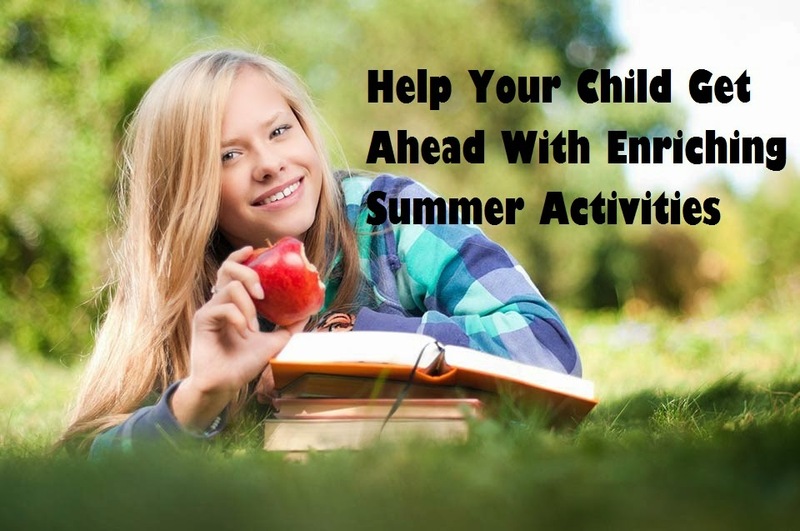 Parents can help prevent that boredom and find summer enrichment programs that can be fun as well as stimulating. Students interested in science, technology, engineering or math (STEM) can have hands-on enrichment experiences at a nearby summer science camp. They are held across the country and offer a wide range of activities. Students can create their own video games or build robots. They can participate in crime scene investigations or experience what it is like to be an astronaut. Parents can find a camp that has a program of interest to their child. Each individual camp generally has scholarships or financial aid available. Many school districts can offer various summer educational programs you can enroll your student in as well. For example, Kyrene School District is a highly notable district in the southwest region that offers an array of comprehensive summer programs for all grade school levels to keep students occupied and learning after the regular season has ended. Parents can search at the main site of their districts to find programs in their area or search according to a specific topic, like drama, music, writing or computers to find program that will take advantage of their child’s interests. Not all parents can send their children to summer science camps or other community based enrichment programs. They want to help their students, but are unsure of how to go about it. Suggestions for daily learning activities are found at many websites, including Great Schools which offers unique suggestions, like having children watch television with the sound off. They read the closed captioning and get rewarded for spelling and grammar errors they find. Parents can find science projects to do at home. Before a trip to the beach, children can read up on gravity and its effects on ocean waves. Cooking and baking together can turn into a math lesson on measurements and fractions. The possibilities can be endless with an entire summer to work with. Almost all middle school students love using computers. Enrichment programs are offered online on various topics. Students can brush up on skills as well as learn new things. The internet is full of free information, all you have to do is just do a little research and pick the program that’s right for your student. FreeOnlineSummerSchool.com is a great free resource that offers a huge list of online summer school courses for middle school students and they’re all free! Take a couple trips to the library if your middle schooler finds they are bored. Almost all libraries have summer reading awards programs and with all that time on their hands, why not encourage getting lost in a few good novels this summer? Local youth centers may have educational, craft and sports programs to look into and museums often offer day or week-long seminars as well. Parents can check for programs in their community to help their kid have a fun summer while keeping those gears in motion. Continuous stimulation, whether it’s reading a book or making new friends at a theater or science camp, will help your middle schooler return refreshed and ready to learn as soon as the Fall semester starts up again, putting your student ahead of the curve.